Estimates of the norms of spaces associated to weighted first-order Sobolev spaces with various weight functions and summation parameters are established. As the main technical tool, boundedness criteria for the Hardy–Steklov integral operator with variable limits of integration in Lebesgue spaces on the real axis are used. 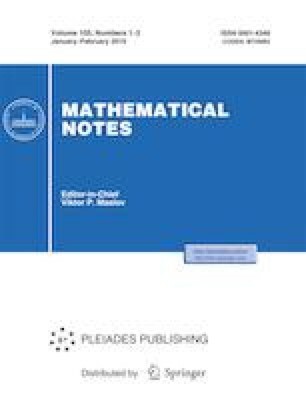 Russian Text © V. D. Stepanov, E. P. Ushakova, 2019, published in Matematicheskie Zametki, 2019, Vol. 105, No. 1, pp. 108–122.